Anna (BSA ’08, MADS ’09) and Ryan (BSFR ’08, MFR ’10) Reddish help today’s Bulldogs discover their passions and realize their career goals. 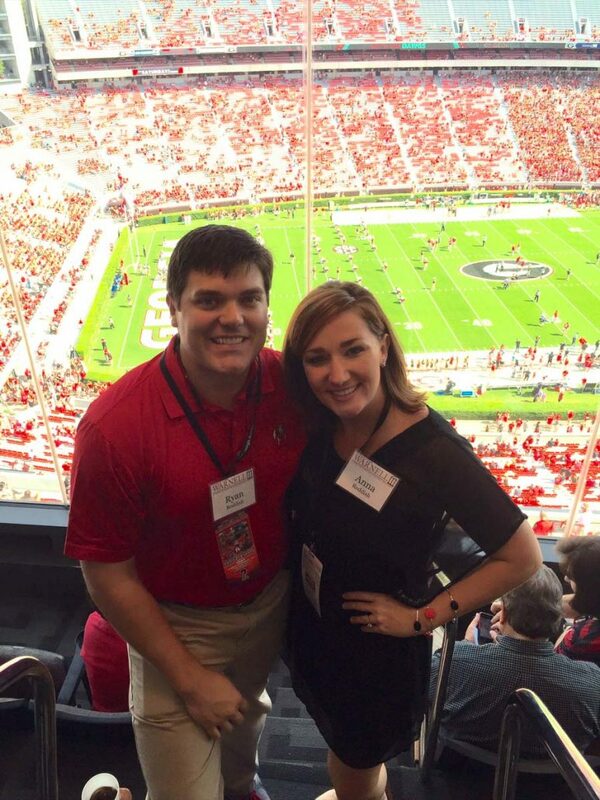 Anna and Ryan Reddish attribute their success to the opportunities they received at UGA. Anna is a veterinarian for the American Veterinary Medical Association and Ryan is a timberland acquisitions specialist for Forest Investment Associates. 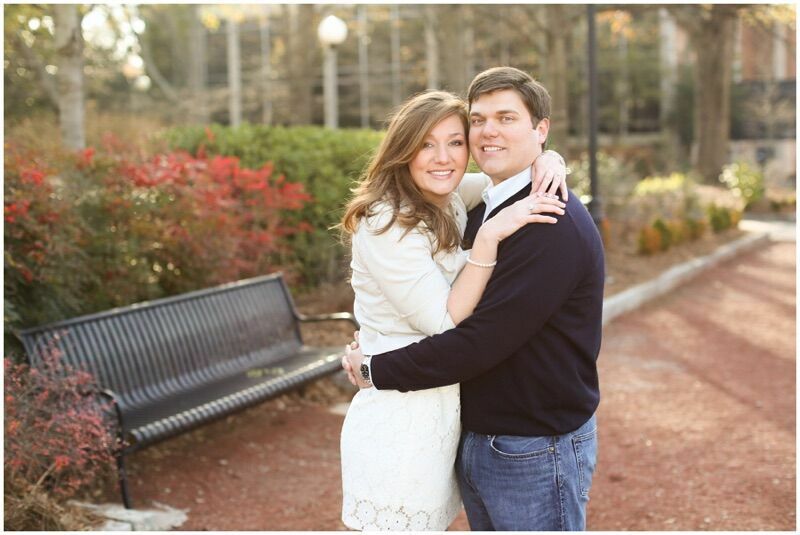 The two met at UGA and married in 2013. Anna gives to Georgia 4-H and Ryan donates to the Warnell School of Forestry and Natural Resources. Anna also serves on the Metro Atlanta Young Alumni Council. Anna and Ryan Reddish give to provide today’s Bulldogs with more opportunities to help them realize their career goals. The couple lives in Atlanta, Georgia, where Anna serves as a veterinarian for the American Veterinary Medical Association and Ryan is a timberland acquisitions specialist for Forest Investment Associates. Anna grew up participating in 4-H, and maintains that it is “the greatest youth organization in the world.” Through Georgia 4-H, she learned how to care for animals and discovered a passion for her career – veterinary medicine. Now, she gives so that young people can enjoy opportunities to learn about what interests them most. “There’s a program [in 4-H] for every kid and I hope that my gifts help youth find a program that they’re passionate about,” Anna said. Anna and Ryan on UGA’s North Campus following their engagement. The two celebrated their marriage in 2013. Anna and Ryan cheering on the Dawgs at Sanford Stadium. Anna knew from a young age that she wanted to become a veterinarian. Through her work as a 4-H camp counselor, she was presented with important leadership opportunities. Anna’s experiences in 4-H convinced her that CAES was the right academic path for her. Anna and Ryan both transferred into UGA and were inducted into AGHON – an honors society that recognizes students who demonstrate outstanding leadership, character and a passion for agriculture, forestry and natural resources, veterinary medicine, and engineering – the same semester. The two became friends through AGHON and began dating the following semester. They married in 2013. In addition to giving back to UGA, the Reddishes remain actively involved within UGA’s large alumni network. Ryan served as a student ambassador for Warnell and recently concluded his term with Warnell’s Young Alumni Council. Anna is a member of UGA’s Metro-Atlanta Young Alumni Council, and commits to connecting and engaging young alumni in the Atlanta area. Josh Jones Promotes Exceptional Political Leaders Mallory Harris uses math to predict the future.